Motorcycle Insurance - Charles City IA & Osage IA - The Insurance Office, Inc. Ensure a bright future for you and your loved ones by securing your financial independence with professional planning and fiscal services. Protection for the Open Road. Whether you ride a street bike, cruiser, touring bike, or even a custom chopper, your motorcycle is synonymous with two things: freedom and adventure. You enjoy the freedom and excitement of the open road and long for the adventure it brings, but with adventure comes uncertainty, and with freedom comes responsibility. And while you may not know what lies over the next hill, the right coverage can ensure that you're prepared for it all. 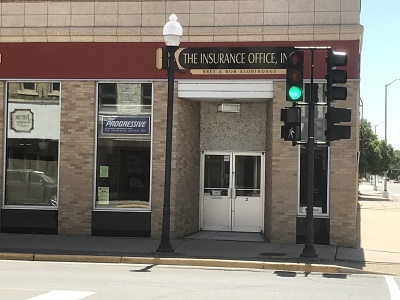 At The Insurance Office, Inc., our service doesn’t stop when you walk out the door. With special features like additional Roadside Assistance, Towing and Labor Costs, and Replacement coverage for custom parts and equipment, you’ll never be alone on the road. You can even receive multi-policy discounts and safety course rewards to help you combine and save. Our team of professional insurance representatives will assist you in deciding which Motorcycle Insurance plan is right for you by determining the discounts and special features you may be eligible to receive. Prepare for whatever the open road may bring with a comprehensive Motorcycle Insurance policy from The Insurance Office, Inc..
Accommodating, professional, helpful, and quick. Very comfortable experience and I was impressed by their capabilities. Highly recommended. I feel lucky to have found an agent willing to provide this level of service. No need to look anywhere else! Over the years we’ve never once had to worry about our coverage. My husband and I are long-time customers and proud to be. Surprisingly flexible and in-touch with my needs as a small business owner. Can’t ask for more. They have strong ties with the community, and it shows. It’s nice to do business with people that really show they care about you and your family. Proudly serving Charles City, IA, Osage, IA, Rockford, IA, Mason City, IA, New Hampton, IA, Nashua, IA, and surrounding areas.